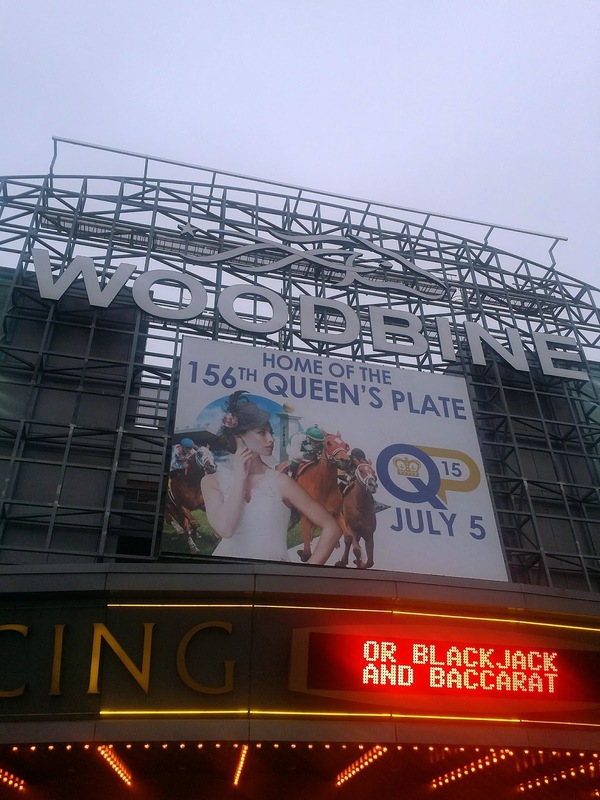 Excitement & Fun Times at Woodbine Racetrack! This past weekend I had the opportunity to attend the Breeders Crown at Woodbine Racetrack in Toronto. The Breeders Crown is one of the top harness events in North America. On the evening of the Breeders Crown it rained but that didn't stop the fun at all. Rain or shine, the races must go on! The facilities at Woodbine Racetrack have changed, since the last time I visited, when I was much younger. 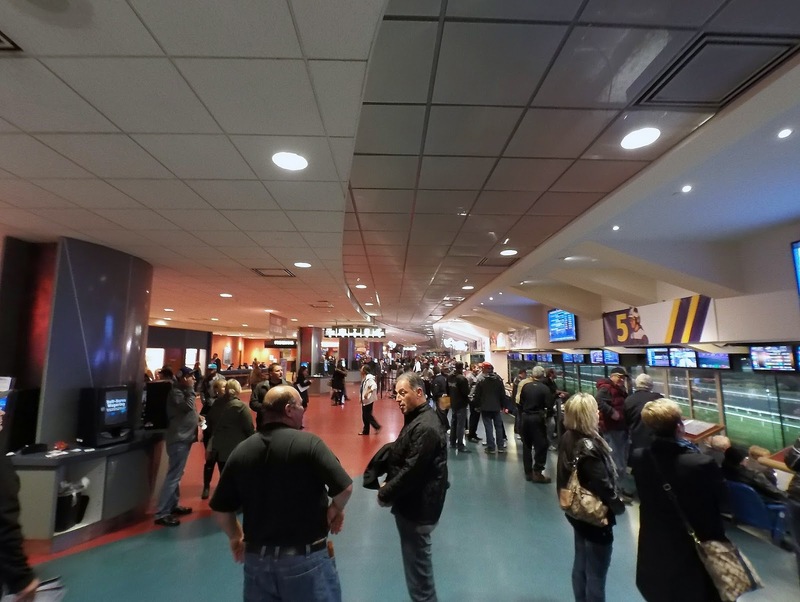 There are more amenities & options at Woodbine Racetrack. On this visit I had the chance to visit the Champions Bar and Patio (on the top floor). It's a great spot to dine and watch other sports at the same time as you wager. I can't wait to comeback later this month and especially next summer. The vista from the grandstand is amazing to absorb even on a wet soggy evening. Woodbine Racetrack Main Entrance at night. 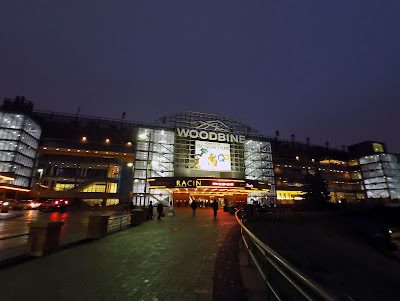 If you've never been to Woodbine Racetrack, I highly recommend that you visit. 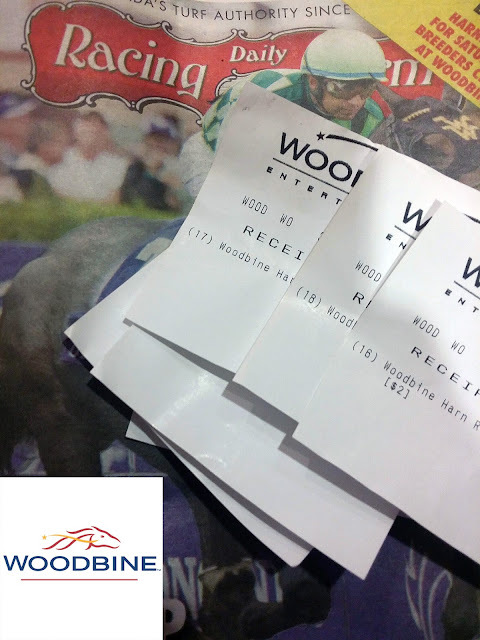 If you don't know how to bet, don't worry because Woodbine Racetrack has simple instructions on how to bet. 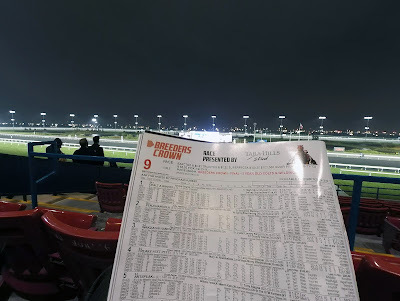 They actually have a mini brochure you can pick up for free from Customer Service Kiosk that explains the basics of wagering. Part of the fun is learning how to bet since you can bet as low as 20 cents. I plan to go back with family and a guys night out this year since races continue until November. It's really a great value and so much fun when you go with a group of people. 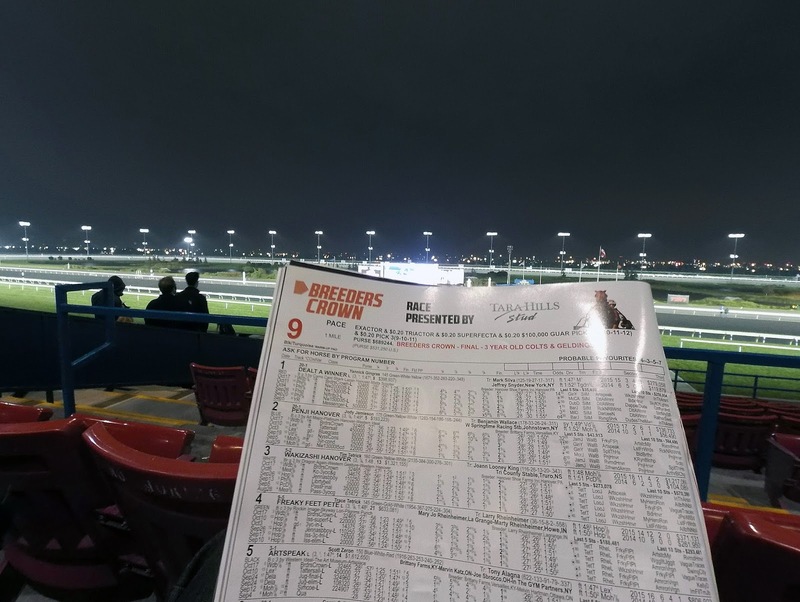 You can realistically spend less than $20 for a night of fun at Woodbine making a couple bets, eating some food, and just enjoying the night! Not to mention it's always free parking & admission. That's great value in my opinion. Where: Woodbine Racetrack - 555 Rexdale Blvd. Follow #Crown15 and @WoodbineRacing for more details and updates! Disclosure: This post was created in partnership with Woodbine Racetrack however, all opinions expressed are 100% my own. Boomerang from Instagram is now available for download. Instagram introduced Boomerang as a stand alone app that creates looping videos. On first try it is very simple to use. Just look for a moving object and hold the button down. You can post to Instagram or Facebook or create a quick video clip that can be repurposed through email or even youtube. I'm still playing around with it but it seems very simple to use. Video automatically downloads to your Gallery/Videos folder on your mobile device. The clips remind me of Vine videos and Flixel. Let me know what you think of the App? Do you like it or not? Will you use it? I think it's going to be another outlet for creativity. Are we over burden with too much on Social already? Let me know what you think. 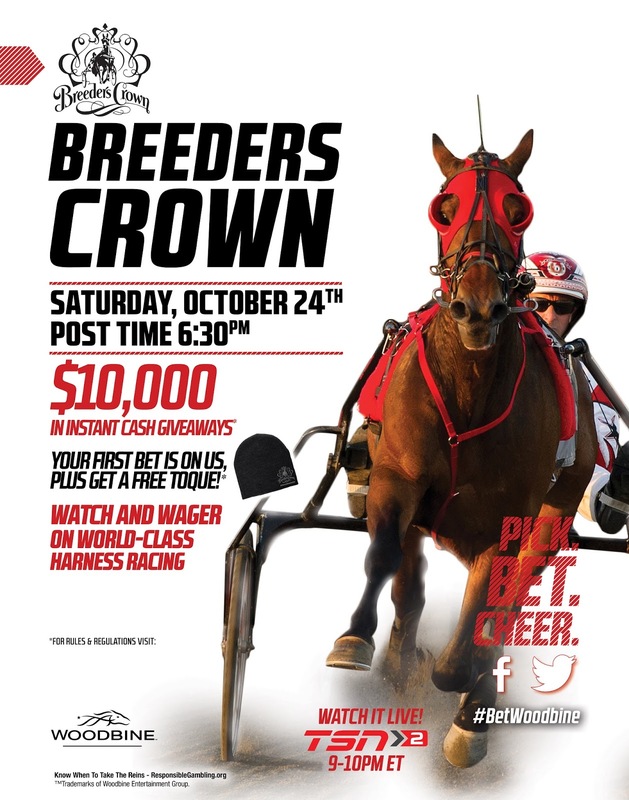 This coming weekend on Saturday October 24th the Breeders Crown comes to Woodbine Racetrack. The Breeders Crown is hosted by the Hambletonian Society and is one of the top harness events in North America. The excitement begins with over $10,000 in instant cash giveaways. Wager through a self-serve betting machine for 100 chances to WIN $100 instantly on that evening. 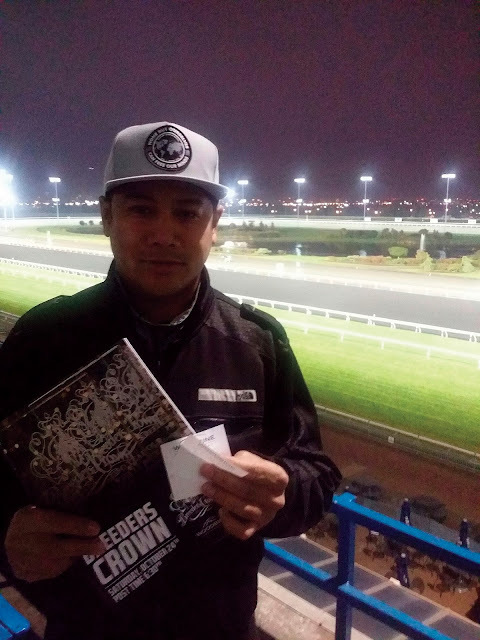 Make your first bet and get a Free Breeders Crown toque too! Not bad right? To top it off, parking and admission is always free at Woodbine Racetrack. It's a great opportunity to experience excitement and fun especially if you're new to horse racing. Make sure to visit the horse races track side for the up close excitement and experience. Snap a selfie at the racetrack and post to Twitter or Instagram using hashtag #OffToTheRaces & you could WIN a $1,000 Woodbine Racetrack Gift Card!